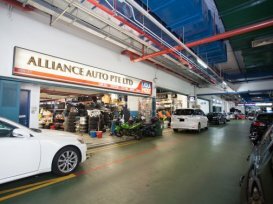 With the expertise of its key personnel of experienced professionals and specialists, Alliance Auto had been able to provide specialized Car services. Their dedicated team is committed to provide excellent quality work at reasonable price. With the extensive investment in the manpower, equipment and genuine parts for Lexus, Alliance Auto is the right place for Lexus enthusiasts or Lexus owners. Alliance Auto is one of the few workshops that specialises in the full range of servicing and repair for Lexus cars. Good and friendly service from the owner and is also very willing to let you try out his show cars! A place for all makes not limited to TRD petrol heads only!